The fight we didn’t know we wanted between fan favourites Conor McGregor and Donald Cerrone seems a done deal according to Chael Sonnen Via Ariel & the Bad guy. Speaking yesterday on the show Chael has told how the fight between “The Notorious” and “Cowboy” has been booked for UFC 239 during International Fight Week. The Irish star has teased his interest at Cowboy multiple times recently, most notably after Cerrone finished Alexander Hernandez back at Fight Night 143. I mean it’s not crazy the two going at it, Conors suspension is nearly up and he seems eager to return but will this just be a fun three round or five round main event? Unfortunately I highly doubt it. I can definitely sense an interim title may be at stake but then where does that leave contenders such as Tony Ferguson and Dustin Poirier? Furthermore does this mean were looking for a ‘re run of the infamous UFC 229? 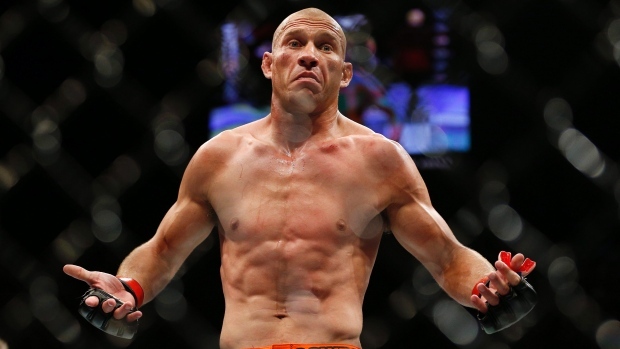 Personally I think it’s a great match up and Cerrone definitely deserves a big money fight after becoming the most winningest fighter in UFC history but should it be for an interim? HELL TO THE NO NO. As a tournament bout I think this is perfect winner could face winner of a potential Dustin and Ferguson match, winner fights Khabib? That is my idea of Lightweight paradise guys. What do you think? Good fight? Will it happen? Interim or no interim? Let us know in the comments!